Objectives: Understand the difference between absorption, assimilation and digestion.To have an overview of the functions of the parts of the digestive system. Digestion is the breakdown of large, insoluble food molecules into small, soluble food molecules using hydrolysis reactions catalysed by enzymes. Absorption is the uptake of these small soluble food molecules through the lining of the digestive system, into the blood or lymph systems. Absorption involves a combination of active and passive processes. Assimilation is the uptake by cells and use of the small soluble food molecules eg. to build proteins. Digestion and absorption are related functions of the digestive system. Without digestion, absorption cannot occur, as many food particles are insoluble and too large to pass through the lining of the intestines. Absorption is vital to life processes, as without absorption the body cannot obtain any of the nutrients in food. It is not until digestion and absorption have taken place that we begin to benefit from the nutrients in food, and this is called assimilation. Peristalsis is an important process in the digestive system. It consists of waves of contractions which move the food throughout the alimentary canal – why is this important? -Helps to mix the food with digestive enzymes, speeding up hydrolysis of chemical bonds. -Brings the digested food into contact with the lining of the digestive system (particularly the ileum), this increases the efficiency of absorption. A) Peristalsis involves muscular contractions of both circular and longitudinal muscles, they work antagonistically (in opposition). These contractions move the food centimetres at a time, and are controlled by the enteric nervous system (a branch of the nervous system – existing in the lining of the gut!) The brain does not control peristalsis. The lining of the gut contains smooth muscle tissues (which are not the same as the striated muscle found in the skeletal system). This kind of muscle is ideal for continuous moderate force. Summary of digestive system – see pages 280-281 in text book. objectives: to understand the differing roles of the duodenum (first part of the small intestine), and the ileum (second part of the small intestine). 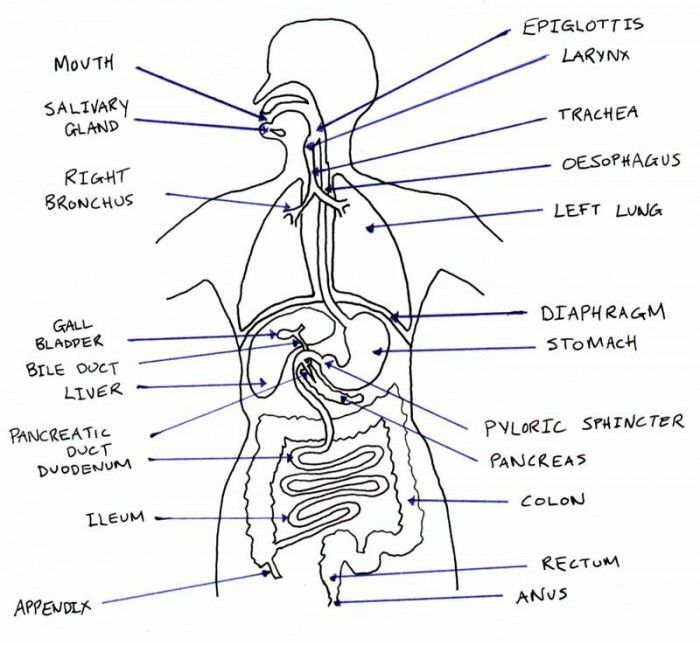 To understand where secretions are made in the digestive system, and what they contain. Memory triggers: Duodenum does digestion, Ileum does absorption. Duodenum: the first 10-15 cm of the small intestine, where digestion occurs. Secretions are received from the pancreas, liver, and the lining of the duodenum itself. ILEUM: the rest of the small intestine after the duodenum (3.5m long), where absorption occurs. Substrate: a substance which is broken down by an enzyme. Digestive enzyme: a biological catalyst, secreted in the digestive system to breakdown food into soluble molecules eg. amylase. Physical / mechanical digestion: when a food particles are broken down into smaller particles, but not necessarily altered in their chemical properties eg. 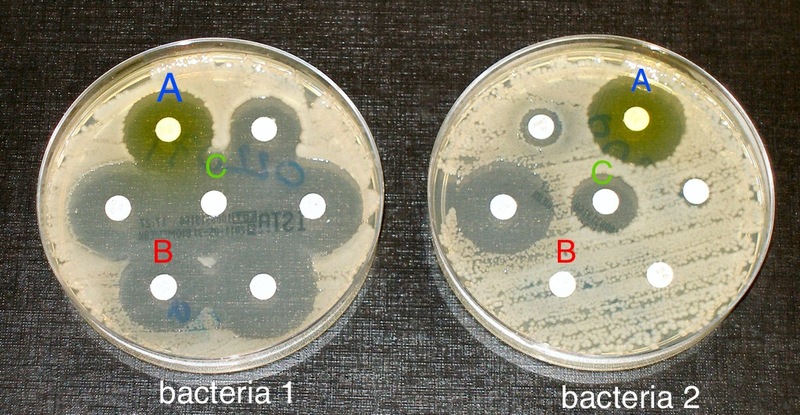 the action of the teeth, or the emulsifying effect of bile on lipids. The small intestine is divided into two main parts, the duodenum and the ileum. There is a third part, in between the duodenum and the ileum called the jejunum. 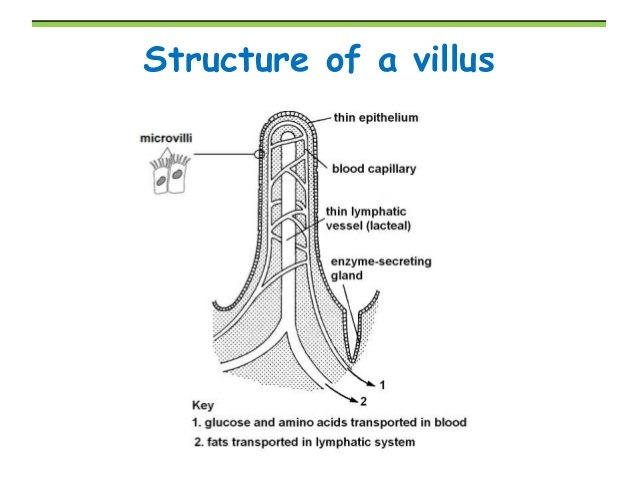 This part has the similar functions as the ileum (absorption), and so we will not make this distinction in IB Biology. The duodenum is the first part, receiving food from the stomach via the pyloric sphincter. The duodenum is where more digestion occurs in the small intestine, and it receives enzymes from the pancreas (alkaline salts, lipase, amylase and protease) and also bile salts from the liver (from the gall bladder). The walls of the intestines themselves also produce enzymes (e.g. maltase, sucrase), and help to finish the process of digestion. Digestion continues during the long 3.5m journey through the small intestine, although absorption is the main function of the ileum. The ileocecal sphincter controls the passage of food from the ileum into the colon (large intestine). Digestion happens in stages, as larger molecules are chopped into smaller and smaller pieces. The following document summarises the enzymes, sources, substrates and their products. Activity A: Use the document (digestive system summary) to fill in the document ‘secretions in digestion’. The lining of the small intestine is made up of layers, the mucosa, the submucosa, the muscular layer and the protective serosa. Q) Which part comes into contact with the food? A) The mucosa. The submucosa contains blood and lymph vessels, which help to carry away the products of absorption. 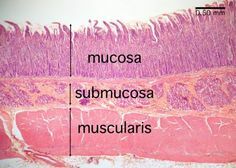 The Mucosa layer is made up of finger-like projections called villi, which are designed to increase the surface area of the intestinal lining to make absorption faster. 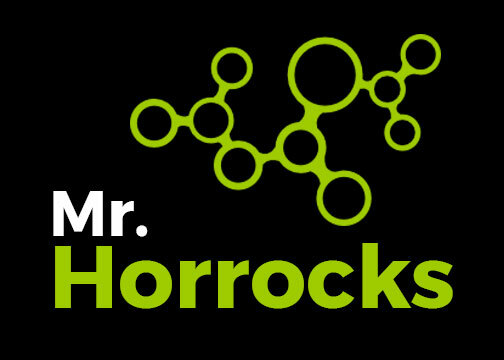 -Blood vessels to transport away nutrients (all except fatty acids and glycerol), maintaining a concentration gradient. -Lymph vessels to take away fatty acids and glycerol. Absorption methods are different for different substances. This happens by simple diffusion, and facilitated diffusion as there are fatty acid transporter proteins in the membranes of epithelial cells. Once inside the membrane, fat acids and monoglycerides are re-combined to make triglycerides, which cannot diffuse back out. The triglycerides are combined with cholesterol, then wrapped in a vesicle and released by exocytosis through the inner membrane of the epithelial cells to enter the lacteal. Absorption of Glucose: This happens by a combination of active transport and facilitated diffusion, involving a sodium/potassium pump. First ATP is expended to pump sodium ions out, and potassium ions into the epithelial cells. This creates a concentration gradient for sodium, which is now lower inside the epithelial cells. Sodium enters by facilitated diffusion through special sodium-glucose co-transporter proteins which add a glucose molecule to every sodium ion absorbed. The glucose passes out of the inner membrane and into the blood vessels by a facilitated diffusion, through glucose channels in the other side of the membrane. As above, but also evaluate the strengths and weaknesses of another groups model. Formative assessment 3: Kognity review assignment.